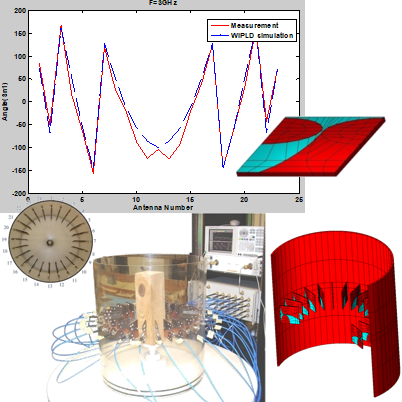 This application note provides detailed theoretical explanation on how the asymmetry feature is implemented in the WIPL-D suite. The user effectively models half, quarter or one eight part of the structure and sets asymmetry planes. The last step is to adjust the required voltages of generators (equal amplitudes are the default value). The code afterwards determines minimum number of simulations required (by combining simulations with PEC and PMC planes). The usage of the feature reduces number of unknowns 2/4/8 times and simulation time up to 4/16/64 times. The simulation time reduction depends on the electrical size of the problem and is more pronounced for the electrically larger problems. The usage of the feature allows using tremendously less powerful WIPL-D license and extends the range of structures that can be simulated. The simulations have been carried out on inexpensive hardware platforms owing to GPU technology and the GPU solver. The examples include a simple circularly placed array of dipoles (to verify accuracy), canonical PEC cuboid (to verify reduction of number of unknowns and simulation time) and realistic 3D microwave tomography system. Last example shows how asymmetry allows solving demanding example in engineering acceptable time in UWB application.